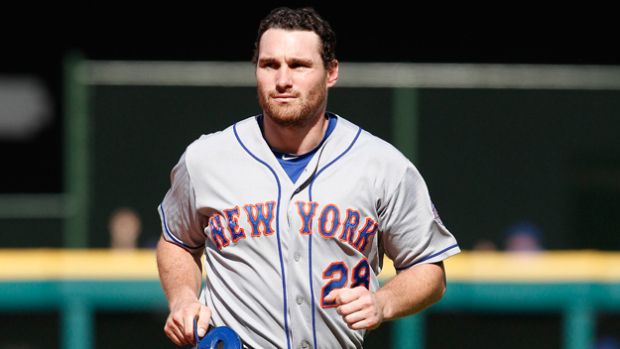 Daniel Murphy, an infielder for the New York Mets, was recently at the center of a very public debate over taking parental leave while in the midst of a season. Major League Baseball has a pretty long season – players typically report to Spring Training sometime in February, the regular season runs from April (or the very end of March depending on the year) until September, with post-season play taking place in October. This means that players typically have a narrow window for off-season activities. Younger players may play in Winter Leagues in either Arizona, the Caribbean, or in Australia while older players spend the off season getting surgical repairs and readying themselves physically for another grueling season, which features 162 regular season games. Players therefore do not get an enormous amount of time off, and they have a lot of baseball work to do during the typical “off” season as well as pressure to make up for family time lost to the long season. In his book Moneyball, Michael Lewis describes the subjective evaluations of MLB scouts – typically former players who are employed to identify new talent for teams from among high school, college, and amateur players. A player’s girlfriend is a metric Lewis describes; essentially, if a player has an attractive girlfriend, they have confidence. This confidence is important for how they play the game, or so the story goes. Such a hyper-masculine culture is probably not surprising to most readers familiar with professional sports. What it means for baseball, however, is that there is an ironic tension between the family arrangements that make you appealing to scouts and the “inconvenient” family realities for many athletes. To have a heterosexual partner is to portray a necessary quality that some scouts may use to evaluate a player, making off-the-field relationships just another category of assessment. But these relationships, as Daniel Murphy learned, are meant to stay off the field. Murphy’s wife went into labor with their first child right at the beginning of the season. Murphy, like all MLB players, has 3 days of paternal leave available to him for just such an occasion, and used his leave during the first 2 games of the Mets’ season. In fact, MLB players are the only professional athletes in the United States with contractual protections for paternity leave. When players go on paternity leave, teams are allowed to add a replacement player to their roster – meaning that teams are not forced to play shorthanded as they would have in the past if a player wanted to attend his child’s birth. There’s quite a bit of privilege and ignorance in these statements that combine machismo with a particularly rude statement by Esiason that advocated major surgery as a viable alternative to inconveniencing a player’s baseball club for 3 days. After the predictable outrage, Esiason was forced to apologize. Just a few weeks later, the Baltimore Oriole’s Chris Davis took his 3-day own paternity leave and received no criticism in the media for doing so. On one hand, we should be applauding MLB for being the only American professional sports league to protect the rights of players when it comes to attending their children’s birth. As both Murphy and Davis found out, it means a lot to be there for your partner and your child. On the other hand, however, we have all of those commentators and fans who don’t want to see players taking time – even three days – away from the game. After all, being a good employee means putting your team first, giving 110%, and putting your family and health on the back burner. The 3-day leave is worth emphasis, given that players whose families experience a serious illness or death may take up to 7 days, and most injured players are given at least 15 days to regain their health. The 3 day leave is particularly difficult for players who may not have moved their family to the city where they play. Murphy, for example, had to use part of his 3 day trip just to travel to where his wife was delivering their child. Another complication is that most hospital stays for vaginal deliveries in the U.S. average 2 days in length, with longer stays for cesarean deliveries (on average nearly 4 days). This means players may not be able to be present for the entire birth, or may have to choose between being present for the birth and being there for the baby’s first night home. This is part of what is a distinctly American take on employment and children – we do not give parents legally or – in many cases – contractually protected time off. Ironically, male MLB players have more of a right to paternity leave than many parents, whose best protection is the right to 12 weeks of unpaid leave under the federal Family and Medical Leave Act (and eligibility only kicks in after someone has word at least 1,250 hours at his or her job) . Even when there are protections, particularly for fathers, there is a cultural expectation an ideal worker puts work over family. Julie asks whether professional soccer might be the league to take the lead in protecting workplace leave for athletes and workers. Daniel Murphy and MLB are doing just that, but it isn’t enough to protect the rights of players like Murphy and Davis if the culture they are a part of is so viciously critical of their choice to take advantage of those rights. In Canada, we can take up to a year for Parental Leave. I think an athlete should have that same right.